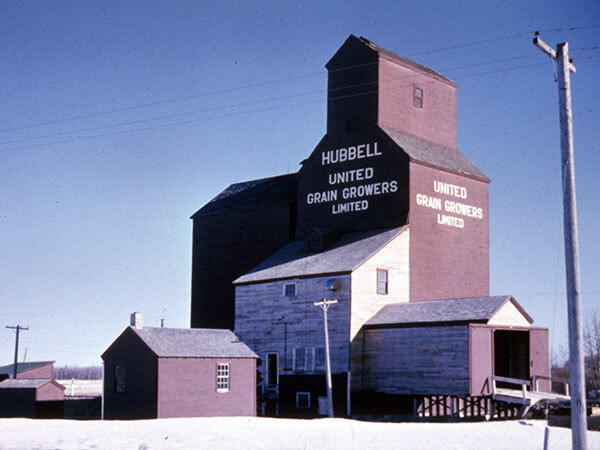 A 58,000-bushel wooden grain elevator at the Hubbell Siding of the CNR Miami Subdivision, in the Municipality of Lorne, was built in 1938 and its annex was built in 1953. Owned at one time by Canada West Grain, in July 1948 it was sold to United Grain Growers. It was closed on 31 July 1971 and was later demolished. Somerset East topographic map, 62G/7 East, Edition 1, Series A743 [UFS Reference Collection].